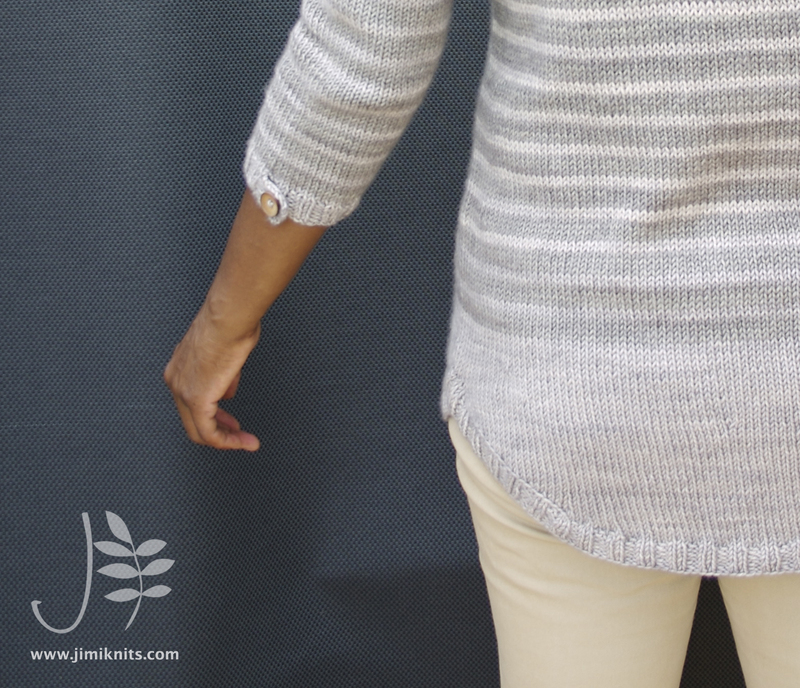 ByeLine – The Cardigan Version | JimiKnits… and other bits. This is one of my recent designs, “ByeLine“. It’s a tunic length Henley-style top, with buttoned front and curved hemline. It’s made from the top down in one seamless piece. Someone asked me if this could be turned into a cardigan. 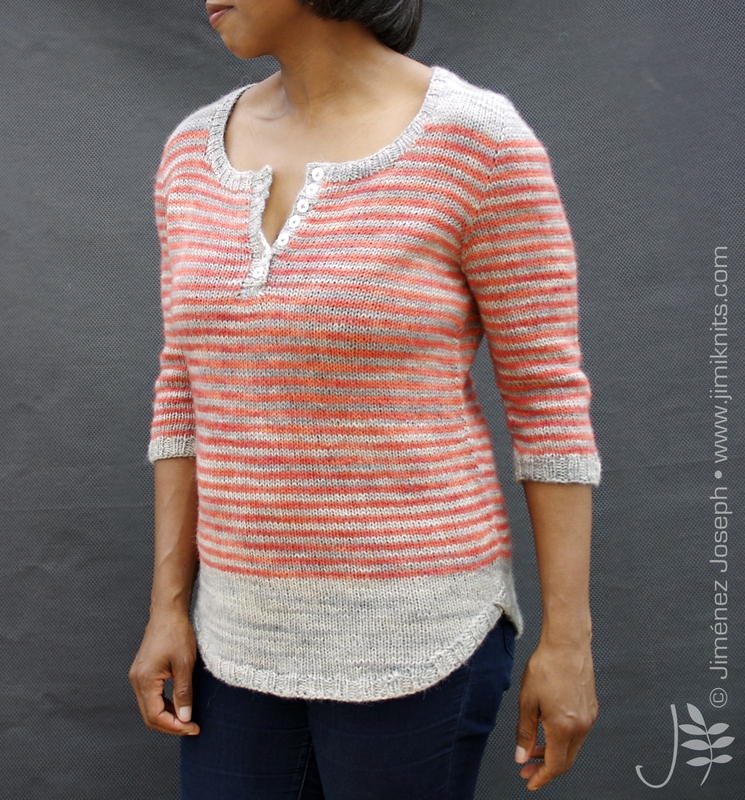 It was an interesting thought and it got my mind racing… So, a cardi version… Can it be done? I’m sure it can! • If there is enough yarn… make sleeves longer? I had intended to make the cardi shorter, so that the split would fall at belt level (just below high hip), but I couldn’t seem to stop knitting! Then, I confused myself at some point by mistaking my contrast colour yarn with my main colour yarn (such was the closeness between them in tonal value). So overall, it had turned out longer in the body than I’d planned, but in some ways this was a blessing. The fabric is very soft and floppy, so it would have needed the length to accommodate for the waft and flow around the hem. Apart from obviously turning it from a sweater to a cardigan, I lengthened the curved hem by 8 rows. No particular reason really, I just wanted to see what it would look like. I’m happy with how it turned out. It’s easy to turn this into a cardigan. Just follow the pattern as instructed, instead of joining in the round just keep going, working flat down to the split hem. 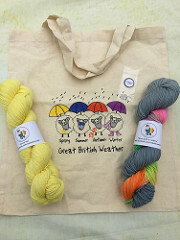 It was the first time I’d ever worked with Bello Worsted. It was lovely and dreamy to knit with (yeah, and you’ll forget to stop knitting too!). It has a generous amount of cashmere, so it blooms pretty quickly, particularly after much handling (the shoulders are full with activity! ).